December 31, 2018: We would like to wish a Happy New Year to all our fans and friends worldwide, we really appreciate your support!!! Keep the metal faith alive!!! Be strong, creative and never give up!!! Death Metal rules supreme!!! See you all in 2019!!! August 13, 2018: Here's a fresh interview Cornelius did for Sadistik Witchfukk webzine. A pretty in-depth one about the past, the present and the future! Read it at: sadistik-witchfukk.blogspot.com/2018/08/cornelius-interviewcastrum-ex-chamos-ex.html. Enjoy!!! July 13, 2018: Attention CASTRUM maniacs!!! 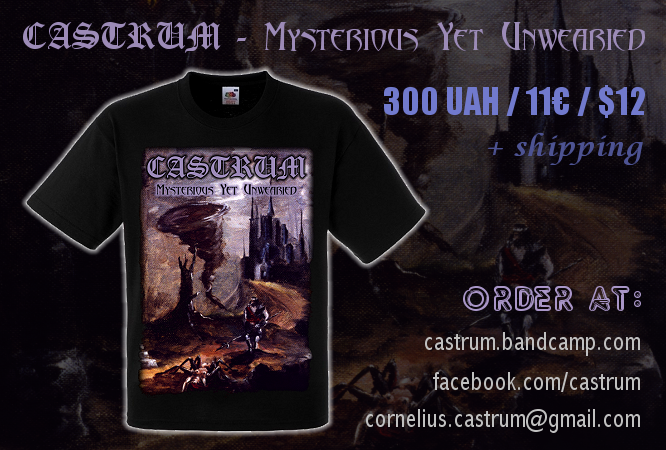 Now you can order the "Mysterious Yet Unwearied" T-shirt design at our bandcamp site: castrum.bandcamp.com/merch/mysterious-yet-unwearied-t-shirt. Available sizes are: S, M, L, XL, XXL for men and S, M respectively for women. January 1, 2018: As usual we would like to wish a Happy New Year to all our fans and friends worldwide, we really appreciate your support!!! Keep the metal faith alive!!! Be strong, creative and never give up!!! Death Metal rules supreme!!! See you all in 2018!!! February 11, 2017: Our first gig in 2017 will be at DMA 44 on the 4th of March!!! For more info please visit the Tour Dates section. 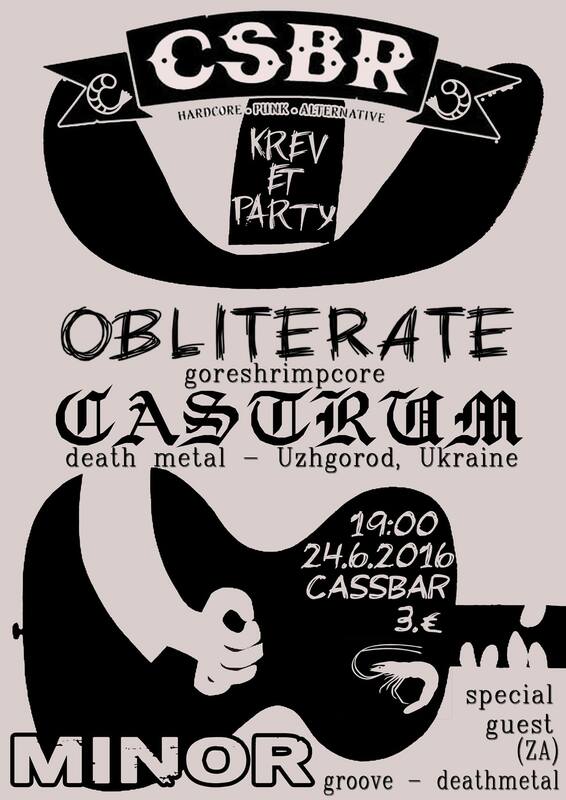 January 31, 2017: Death Metal warriors of Uzhgorod be prepared for a special sonic destruction this April at KRUK FEST 2!!! 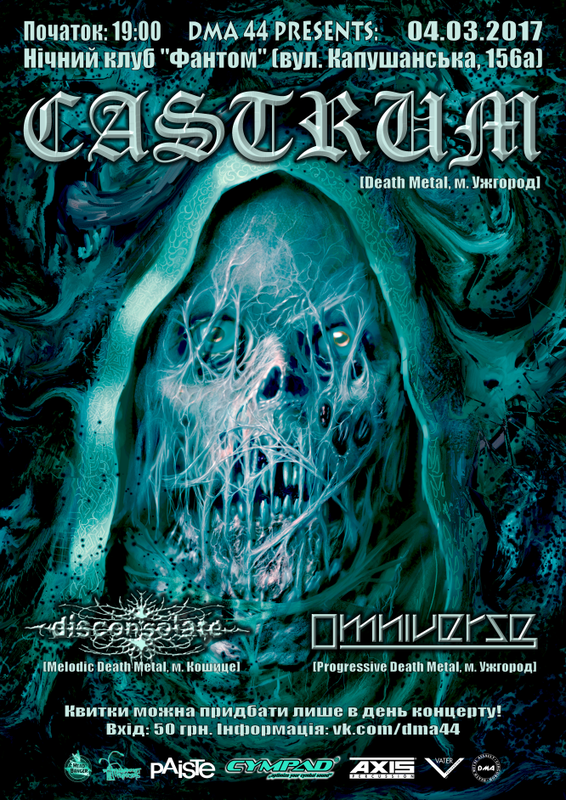 October 10, 2016: Good news for all the CASTRUM fans in the Czech Republic!!! Next year (06.05.2017) we are going to play at Bugrfest Vol. 5 along with such great bands as TÖRR and GODLESS TRUTH just to name a few. For more information please visit the festival's website at: http://bugrfest.pise.cz or their facebook profile at: https://www.facebook.com/Bugrfest. August 7, 2016: With the occasion of POSSESSED's tribute CD/MC release our drummer performs a playthrough!!! Enjoy "Death Metal" in our interpretation!!! 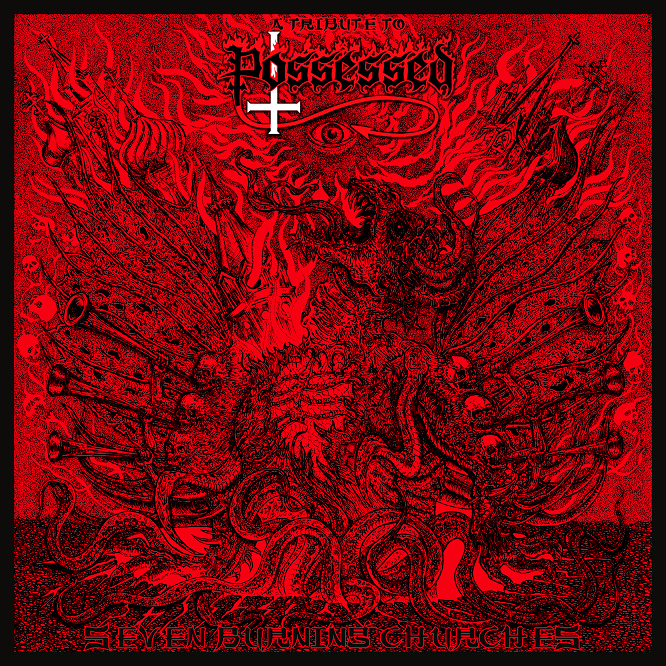 July 25, 2016: There's a killer POSSESSED tribute album coming 4th of August, 2016!!! It will be released on CD by More Hate Productions and on MC by P-18 Records!!! So keep your eyes wide open, as we are also there with a song that defined a whole style around that time as well!!! 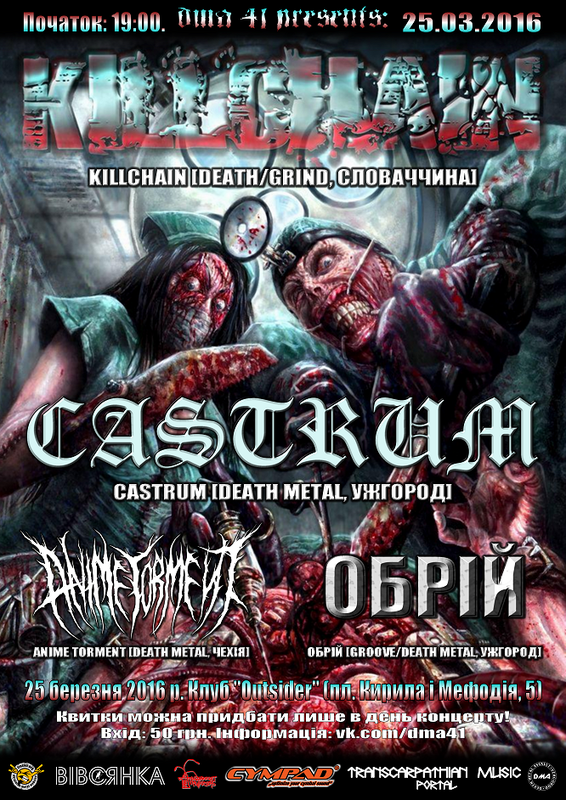 April 18, 2016: Hey CASTRUM fans in Slovakia! Good news for all of you! This Summer we will visit you for 2 shows along with our friends from OBLITERATE! 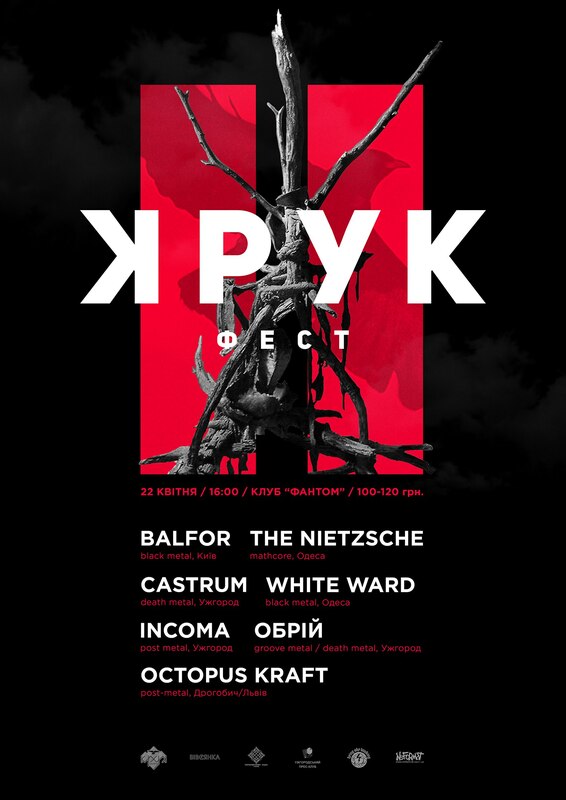 First show will be played in Kosice on the 24th of June (Friday): facebook.com/events/458674294328185 while the second one in Bardejov on the 25th of June (Saturday): facebook.com/events/245782849107482. Spread the word and see you there!!! March 28, 2016: Good news for our fans in Uzhgorod! We are gonna play a special gig for all of you this Saturday (02.04.2016) at the Outsider club. 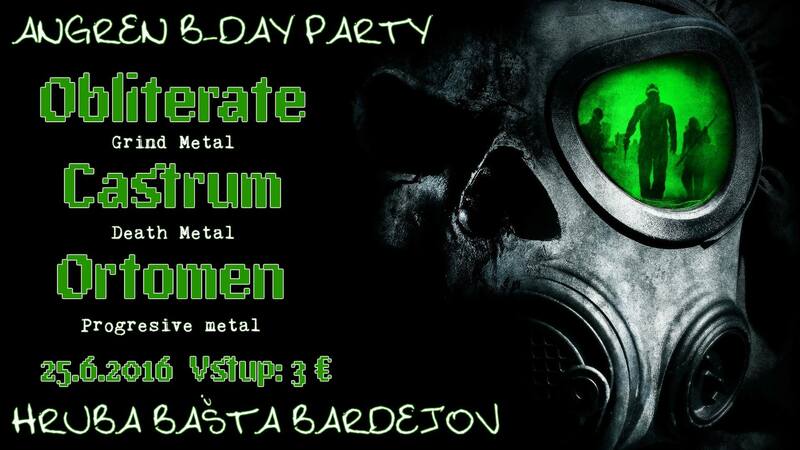 And it means a special setlist with special guests, so be prepared for a sonic mass destruction!!! March 12, 2016: We are happy to announce that CASTRUM will also be playing at DMA 41!!! 13 days left until this fine madness!!! See you all there!!! 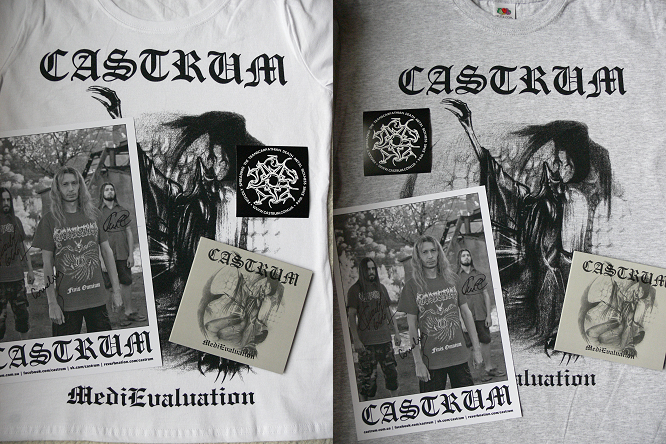 January 31, 2016: We've got some nice "MediEvaluation" bundle packages available now at our bandcamp page. For girls they are coming with white T-shirts, while for men in grey colored T-shirts! Go and get one as the quantities are pretty limited there!!! 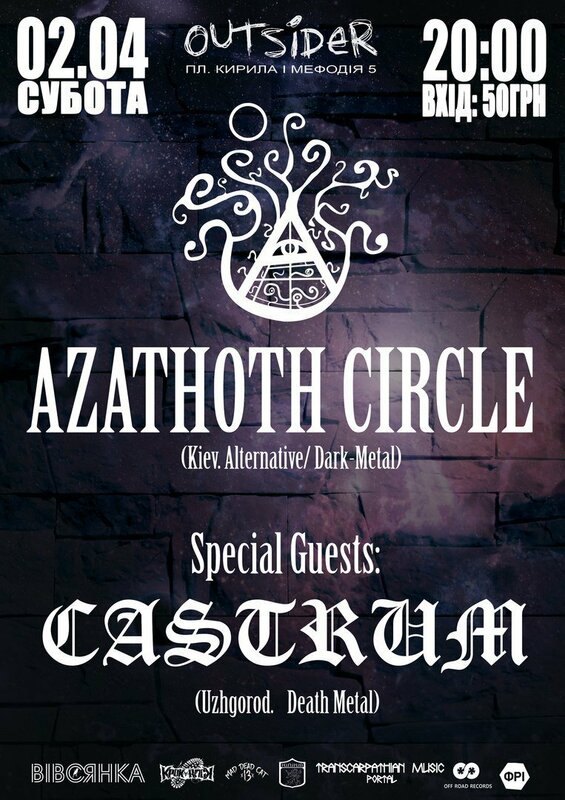 January 27, 2016: There will be another Hungarian show (11.03.2016) shortly for all you CASTRUM maniacs! 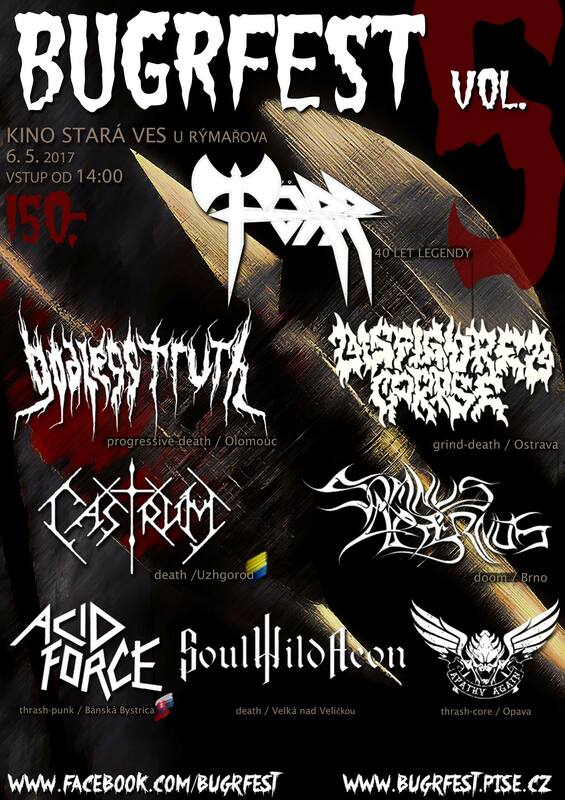 We will crush again in Debrecen at the "Blackened Mysticism Festival". See you all there!! !